It’s afternoon in Addis Ababa’s bustling Bole Michael district, and businesswoman Hukun Aden Mohammed is doing a brisk trade. 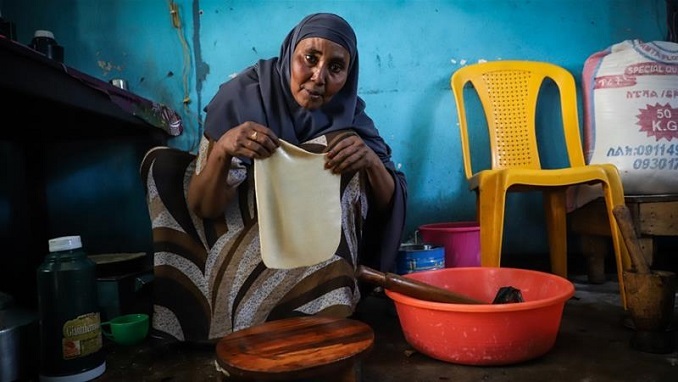 The 45-year-old, single mother of seven opened her modest cosmetics and snack shop in the heavily ethnic Somali neighbourhood two years ago. Ten years ago, Mohammad, an observant Muslim, would have struggled to find funding that aligned with her religious beliefs. But Ethiopia’s measured embrace of Islamic banking is offering her and other entrepreneurial-minded Muslims a gateway to financial inclusion. While financial inclusion has improved in Ethiopia, it still lags behind the rest of sub-Saharan Africa. The percentage of adults in Ethiopia with a bank account increased from 22 percent in 2014, to 35 percent in 2017, according to the World Bank Global Index database. In Kenya, by contrast, 82 percent of adults had a bank account in 2017. Part of that gap can be attributed to mobile money uptake, which is far greater in Kenya than Ethiopia. SMFI has since served around 30,000 customers, mostly in rural communities in Ethiopia’s eastern Somali region. Islamic law-compliant microfinance institutions have also sprung up in Ethiopia’s Afar region. SMFI hopes to evolve from a microfinance institution into a fully-fledged Islamic bank – a hurdle no Ethiopian financial institution has cleared yet. While most big banks in the country have a window where customers can access Islamic financial services, a dearth of expertise in Islamic law-compliant banking has hampered past attempts to form an Islamic bank. The proposed Islamic bank Zamzam stalled in 2012 when it failed to satisfy NBE directives on interest-free banking issued the year before. But Ethiopia may be inching closer to green-lighting an Islamic bank. Efforts to create a more hospitable climate for Islamic banks have been renewed since Prime Minister Abiy Ahmed, a Christian whose father is Muslim, came to power in April 2018.